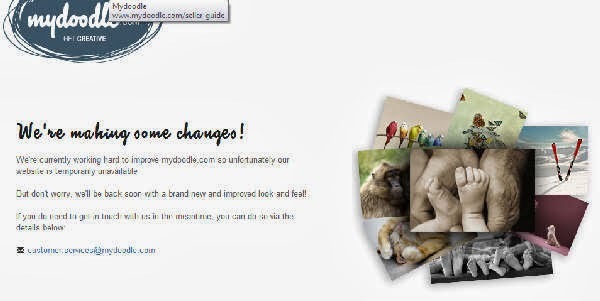 Designs on Nature: Where has MyDoodle gone? If you visit this blog or my photo website, find a photo that you would really like to use as a greetings card or piece of wall art and click on a link to use the photo in MyDoodle you will be disappointed. You will see this message. This message has been appearing for a while now and my attempts to find out what is happening have been ignored. I have emailed the link given to only receive another message telling me to use another email address to make contact. I do this but receive no response. This is really frustrating as it means my blog and website is useless. If MyDoodle are redesigning their web page I don;t know whether they will still include my photos and if they do whether i will need to redo all my links. I'm really sorry of this is causing disappointment but I really am trying to find something out and will post here if and when I get some sort of response.